Service: Your door or ours? Call 1-866-687-7477. 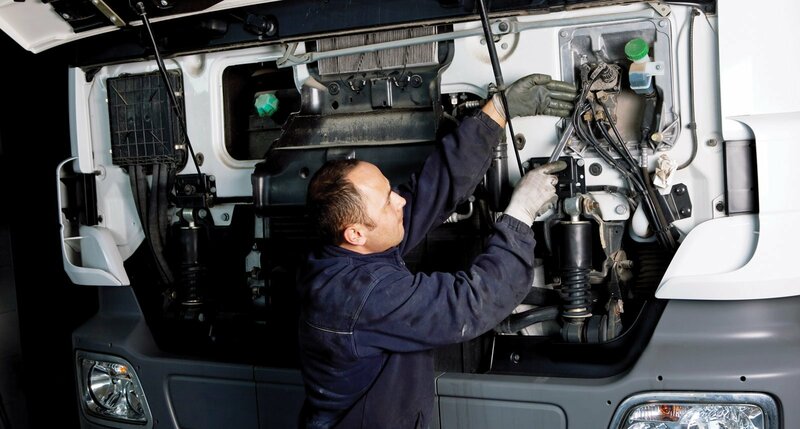 From competitive priced oil and filter changes, to major engine repair, we perform all of the necessary services that your truck or fleet requires. With three front-end alignment racks and the high-tech service tools required to service all modern vehicles, we are prepared for any size job, no matter how big. We have three chassis dynamometers, located in Roseville, Rochester, and Eau Claire. These 700 HP dynos analyze powertrain performance issues while under a working load, and help effectively locate oil leaks and vibrations under power. We are able to service several powertrain components, including Cummins, Eaton, Meritor and Allison, to name a few. Additionally, we are pleased to feature Quick Lubes in our locations. Services Available for All OEMS. 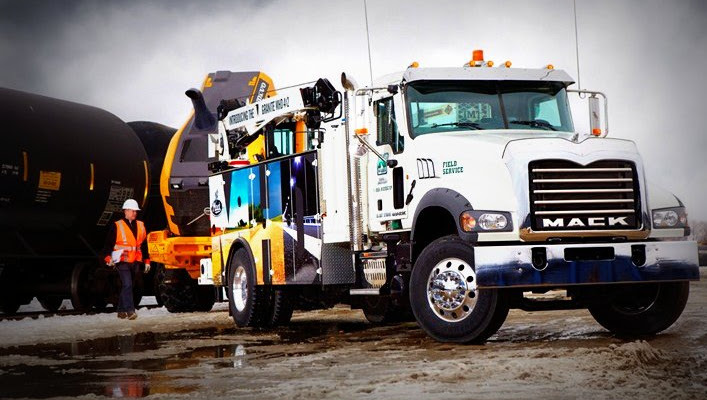 Whether it's a large piece of equipment that you need maintained down in the pits or you have a truck that has broken down on the highway, our field service technicians can work on your vehicle wherever it may be. We have technicians located throughout the Midwest ready to dispatch to your location to make sure your truck or equipment is running at peak proficiency. With complete body shops in East Bethel, Mankato, and Eau Claire, we can do any kind of body repair or maintenance, including painting with our full paint booth facilities. We're certified in both Dupont and PPG paint products. Our state-of-the-art paint booth facility in Eau Claire has over 10,000 square feet of repair space, a 50 foot down-draft paint booth, complete with a bake cycle. While experience and training goes a long way in making sure we service your truck or equipment efficiently, we have the latest technology deployed to our techs to expedite your repair. We use Premium Tech Tool to quickly diagnose and fix any issues you may encounter with your Mack or Volvo product, as well as applicable OEM software for other brands/vendors. Wireless and cellular technology allows our techs to diagnose problems in the bay or in the field allowing less time charged to your bill. With nearly every single repair needed assistance from a computer, we strive to remain a leader in our industry in this area.